Saint Sergius was a Greek who began his monastic life on Mount Athos. Later, he came to Russia and settled in the Monastery of the Life-Giving Trinity under the guidance of Saint Sergius of Radonezh. 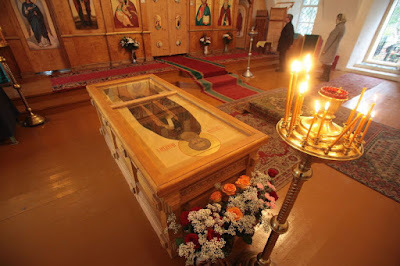 After several years, with the blessing of the abbot, Saint Sergius went into the Vologda forests and settled at the bank of the River Nurma. There he set up a cross and built a chapel with a cell, in which he lived an ascetical life in deep silence, “going forth in angelic life,” and patiently enduring temptations from demons and malevolent people. It pleased the Lord to summon the Saint from his solitude, so that in his wisdom and spiritual experience he should serve for the salvation of others. From various places forty men gathered around him, thirsting for the spiritual life. 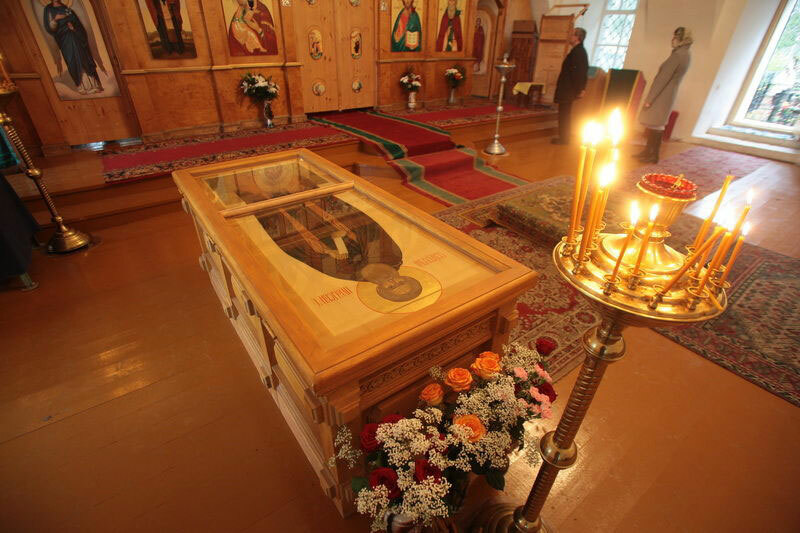 By their common efforts, the brethren built a large church in honor of the Procession of the Venerable Wood of the Life-Creating Cross of the Lord (Aug. 1). The monastic cells were built around the church. One day, Saint Sergius encountered Saint Paul of Obnora (Jan. 10) near his monastery, feeding birds from his hands. All creatures obeyed Saint Paul, just as they obeyed Adam in Paradise. 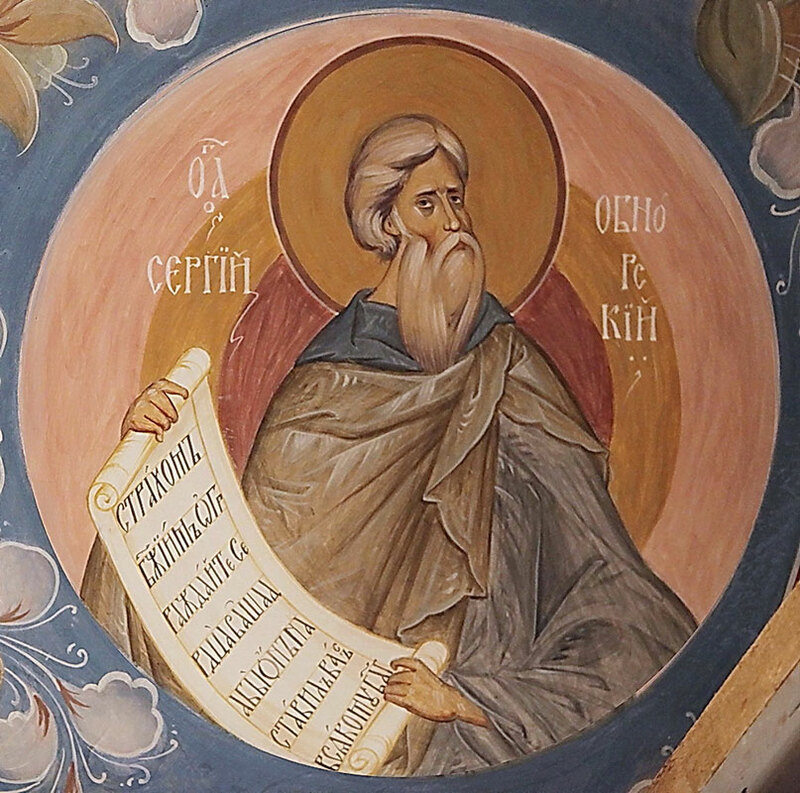 Saint Paul led an ascetical life about three miles from the Nurma Monastery, and Saint Sergius often visited him for soul-profiting conversation. Saint Paul had Saint Sergius, who had been ordained to the holy priesthood on Mount Athos, as his spiritual father. He would confess his thoughts to Sergius, and also received Holy Communion from him. When it was time for Saint Sergius to go back to his monastery, Saint Paul would accompany him for two-thirds of the way. Later, a chapel was built to mark the place where they parted. Saint Paul told Saint Sergius that he heard church bells ringing one night while he was in the forest by the river Nurma, and that he had also seen a bright light. Saint Sergius predicted that a monastery would be founded there one day. He urged Saint Paul to build a church dedicated to the Holy Trinity. Saint Sergius was twice attacked by bands of thieves. The first time they almost beat him to death. The second time they were driven off by the power of his prayers. 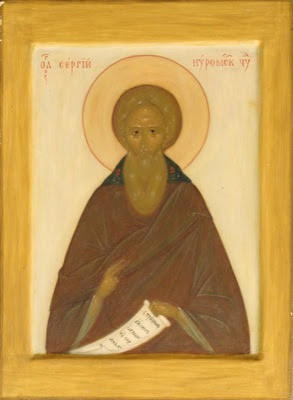 Saint Sergius died on October 7, 1412. Since 1546, the Church has venerated him for his holy life. About eighty of his miracles have been recorded.